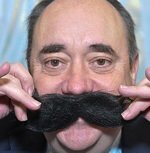 The month formerly known as November is the time when men are encouraged to develop their facial hair to raise money for prostate cancer research. The Movember Foundation is a not-for-profit, charitable organisation which runs the annual men’s health initiative, Movember, across the globe. Its UK partner is the Prostate Cancer Charity. Why not get involved? You may even win a 'Moscar', awarded to the best Movember video. Like many good ideas, Movember was born in a pub - in this case, in Melbourne, Australia in 2003.